Like it or not, when you travel for business you need to pay attention to cultural differences. For me, that's one of the things that makes international business so interesting. Each country can be very different culturally, so I need to be on my toes to not make any cultural mistakes (like trying to do a handshake or bringing up the wrong subject) that might endanger the outcome of my business meeting or interfere with a business relationship I'm trying to build. For example, business travelers heading to Portugal should be aware that the Portuguese can be reserved and tend to avoid confrontation and verbal directness. Instead, business travelers need to be patient and analyze statements for general intentions. It's usually best not to discuss politics or religion, but business travelers should be fine discussing soccer, food, wine, or family. To help business travelers avoid cultural problems when traveling to Portugal, I took the time to interview Gayle Cotton, author of the book Say Anything to Anyone, Anywhere: 5 Keys To Successful Cross-Cultural Communication. Ms. Cotton (www.GayleCotton.com) is the author of the bestselling book, Say Anything to Anyone, Anywhere: 5 Keys To Successful Cross-Cultural Communication. Ms. Cotton is a distinguished speaker and an recognized authority on cross-cultural communication. She's lalso President of Circles Of Excellence Inc., and has been featured on many television programs, including: NBC News, BBC News, PBS, Good Morning America, PM Magazine, PM Northwest, and Pacific Report. I spent a lot of time on business trips within the United States. But when I do travel internationally for business, one of the things that I make sure to do is to be aware of cultural norms, so I don't make any mistakes in business meetings or in negotiations. Business travelers that are planning trips to other countries should also consider the different cultural factors that they might encounter while traveling to different countries. For a complete overview of the impact of cultural risks to business travel, consider reading my interview with Ms.
Cotton on how business travelers can understand cultural gaps. International business travelers heading to countries other than Portugal should also consult any of the relevant About.com Business Travel cultural gap articles on specific countries that they may be traveling to, including: Chili, Israel, Australia, Greece, Canada, Denmark, Jordan, Mexico, Norway, Finland, Austria, and Egypt. Portugal is officially known at the Portuguese Republic, and it’s located on the Iberian Peninsula, just below Spain. The country has an advanced economy and high living standards. The country is a member of the European Union. Lisbon is the capital. And even though I haven't been to Portugal, it's one place I've always want to go, primarily because of the movie Casablanca. In the movie Casablanca, with Humphrey Bogart and Ingrid Bergman, refugees from World War II are attempting to make their way to Lisbon, in Portugal. From there, the refugees hope to make it to America or other free countries. During the climatic final scene in of the film, Bogart tricks Ingrid Bergman into taking the plane to Lisbon with her husband, instead of himself. Instead, Bogart is left to rediscover his life with Louie, the Chief of Police, as they head off to join the French Foreign Legion. While a business trip to Portugal may not be quite as exciting for today’s business travelers, Lisbon and Portugal are vibrant business travel destinations. Business travelers lucky enough to have a stop in Portugal should definitely take a few extra days to extend their trip and take some vacation time to explore. I've included some travel tips at the bottom of this article. What tips do you have for business travelers heading to Portugal? In the Portuguese culture, conversation is somewhat informal, however still more formal than in the US when first meeting. It’s best to begin more formal, and then adapt to a more casual style as the relationship develops. When doing business in Portugal, you can assume that most Portuguese business contacts will speak some English. They will also typically understand Spanish however Spanish speakers won’t necessarily understand Portuguese, because the pronunciation is especially difficult. It’s typical to shake hands when greeting, and on a first meeting to exchange business cards. Teamwork may be weaker than in some cultures, because the Portuguese don't like challenging authority. They also tend first to analyze their personal interest in an action or deal, so understanding ‘hidden agendas’ is an important skill. Portuguese businesspeople are expert at dealing with a last minute crisis. There is always someone around who will fix it or find a creative way through. Sometimes the solution may not be completely adequate--but a solution will be found. It’s necessary to have all agreements and commitments in writing, even if only an e-mail confirmation. Make sure you clarify specific and realistic deadlines and performance measures. 'Tomorrow' and 'next week' are relative terms in Portuguese. You'll have to confirm that the deadlines are on track before you find that they have come and gone. People stand closer in conversation than in North America or Northern Europe, and maintain very good eye contact. There may be more touching of arms or hands during handshake introductions than in northern European or the US cultures. If' you've made it to Portugal for business, don't jet off immediately. Take a day or two and take in some of the country's many tourist sites. There are plenty of options for business travelers who want to extend their business trip and experience some of the great sites and experiences of Portugal. For example, while you're in the country, make sure to try some Port. Port wine is one of Portugal's largest exports, and a great after-dinner option. 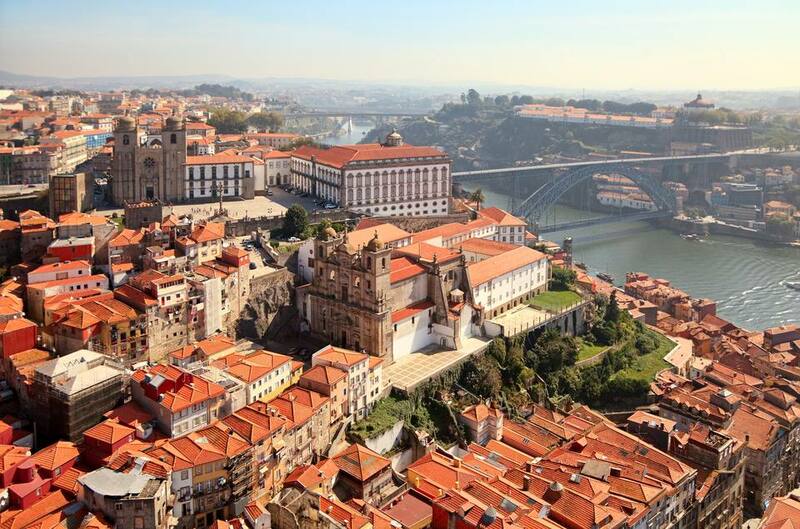 Visit the city of Porto, which is famous for its Port wine. Business travelers may also want to make sure they visit Lisbon, if their business meetings don't take them there. For entertainment, consider taking in some Fado music. Fado is Portuguese folk music, and can be either upbeat or mournful. Last, but not least, business travelers should consider hitting Portugal's southern beaches, in the Algarve region.